Budgen Motors offers many automotive products and services to Telford and Shrewsbury area customers. From quality new Renault vehicles to used cars, we know anyone looking for a vehicle near Shrewsbury and Telford will likely find what they want at our dealership. 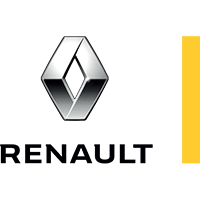 We carry a comprehensive line of Renault vehicles making us a good choice as your Shrewsbury and Telford car dealer. Our services include trusted Renault car repair, original Renault auto parts, and auto financing to help our customers purchase the car of their dreams. Call Budgen Motors or come visit us in person. We're convenient to Shrewsbury and Telford and look forward to helping you with your automotive needs. As one of Shrewsbury’s biggest and longest established Motor Dealerships in Shropshire Budgen prides itself on giving Excellent Service to all of its customers. Budgen Motors now has Citroen, DS, Dacia and Renault Dealerships in Both Telford and Shrewsbury, Peugeot, MG, and Subaru in Shrewsbury, a Large Used Car Centre offering all makes and models in Shrewsbury and a Full MG Facility In Telford. Budgen has been in Shropshire for 40 years and it is still family run today. Originally started by Tommy Budgen in the 70s, Budgen was taken over by the late Robin Wimbush in the 80s and is now owned by Robin’s friend Kim, and his wife Susan, who have lived and worked in Shropshire for over 30 years. Family values and great customer services runs right to the core of the Budgen Group. James Martin, Managing Director, took over the day to day running of the dealership in 2012 and has customer service absolutely at the heart of everything that he and the Budgen team does. We would be delighted to see customers new and old to discuss servicing, parts or that all important vehicle purchase. We are here to advise and guide you on what is best for you. Please pop in for a coffee at any of our sites and one of the team will be pleased to help.